This video shows our CO2 laser marking machine for marking/engraving acrylic, the CO2 laser machine is also used for glass, leather, plastic, wood, bamboo and other nonmetals. 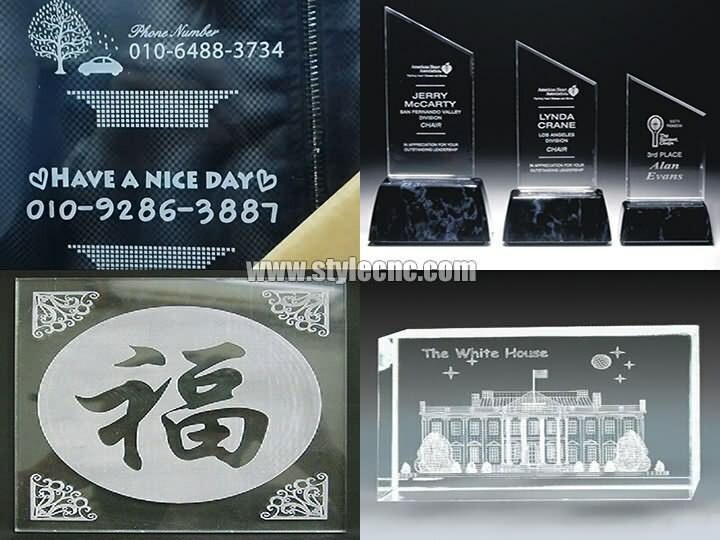 What are the applications of Acrylic CO2 laser marking/engraving machine? This CO2 Laser marker machines can be used in wood, paper, leather, cloth. Plexiglass, epoxy, acrylic, plastic, ucsaturated polyester resin and other non-metal materials. This series CO2 laser marking machine is widely used for leather, food, beverage, cloth, electronic, meter, communication instruments, package and other industries, can be combined with streamline for online marking. License: The text of "CO2 laser marking machine for acrylic engraving" by STYLECNC is licensed under a Creative Commons Attribution 4.0 International License.